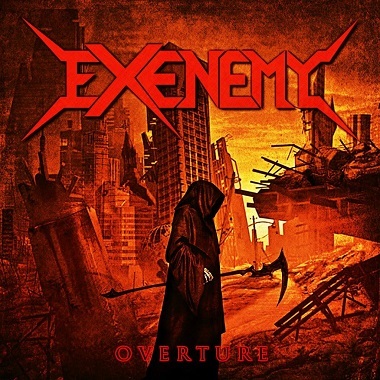 Bangladeshi power metallers Exenemy have got their new three track EP ‘Overture’ up for a free download at the moment, and it is three tracks of some powerfully melodic symphonic goodness. ‘Victory Serenade’ has a feeling of achievement about it, with grand sweeping riffs and some excellent tapping solos sections. It’s almost like Dragonforce if they had concentrated on writing good songs and not just on speed. The vocals are clear and powerful without being over the top, the guitarwork is stellar and the melodies are serious earworms. ‘Twisted Souls’ is another exercise in soaring power metal riffing and awesome melodies. I think the killer ‘Rusty Wings’ is probably the best track here, but it’s close. Exenemy go for a more traditional approach with their power metal, leaning more to the galloping classics of Helloween or Stratovarius. ‘Overture’ is a great taster of what is hopefully to come from these guys. The songs are well crafted, very very memorable and unashamed in their worship of European power metal legends, while still forging their own identity. I think a little bit more variety between each song will help them, but they have a brilliant base on which to build. The musicianship is out of this world, and Exenemy look to be another hit from the Far but not Farthest East!